We are in the car on our way to the appointment we've eagerly awaited/dreaded for nine months...Today we will hear whether or not Tiny B is approved for feeding tube removal. I have a small amount of fear, but I have a greater amount of faith that God has got this and that our prayers will be answered. I'm not afraid to speak my mind and to advocate and I have other doctors behind me in this. Tiny B is going to tell the doctor herself that she is ready for tube removal. We've practiced her speech and she is ready. She is also having a kidney ultrasound, and because my brain is full of thoughts about both appointments today, I forgot that she had a huge speech evaluation today for her Triennial IEP. When it rains, it pours, and we've also got some other things happening, one of which is that I have a painful kidney stone. I don't understand God's timing but I'm so thankful that I was able to hear God at a women's church retreat I attended this weekend, in spite of the pain. So grateful. 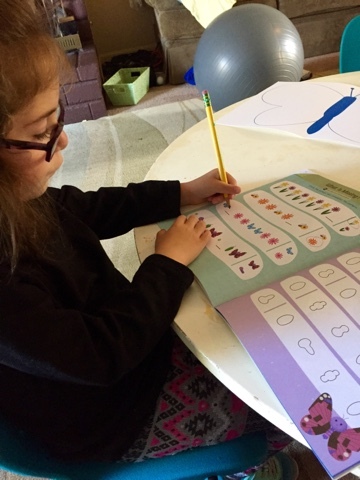 I wanted to share a little about the Experience More Math and More Literacy workbooks from Mother Goose Time. 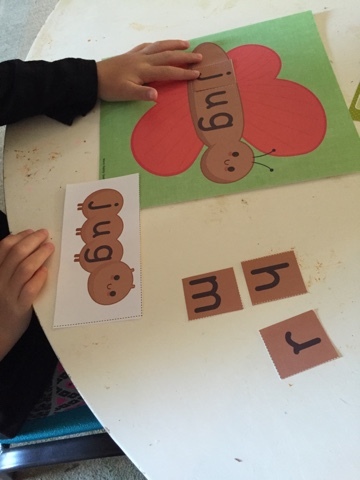 These are an addition to the main curriculum and definitely necessary for Tiny B in transitional kindergarten. These books are taking the place of the workbooks given to me by her public charter homeschool program. 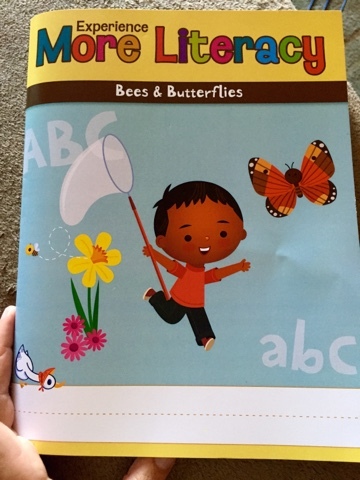 I order them every month and I love that the theme from the month's curriculum is also the theme of the workbooks. This month is Bees and Butterflies. Experience More Literacy contains all sorts of language arts activities. I love the variety. 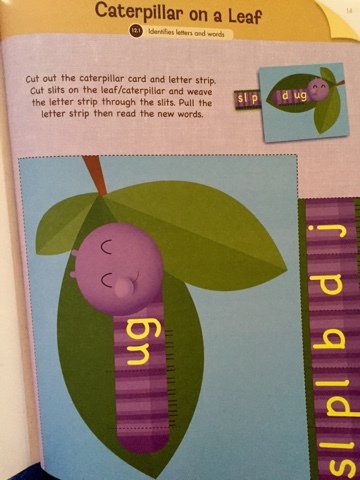 I especially love the reading activities like this one. 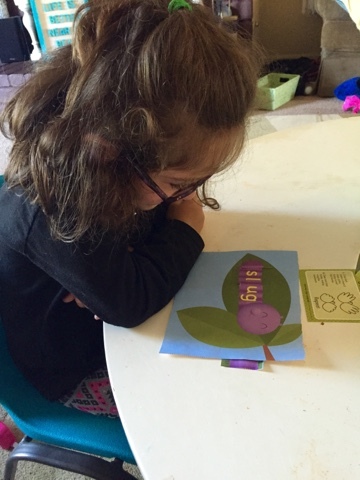 She really enjoyed reading the new words as they were formed as I moved the letters through the slots. Anything that gives her self-confidence, I cling to. We kept this out and she made sure to show daddy later. 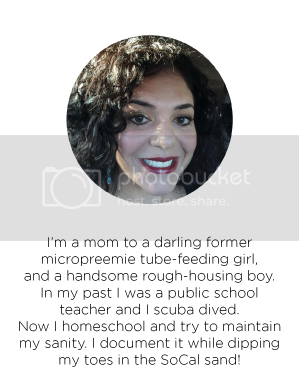 I wanted to include one example of writing. 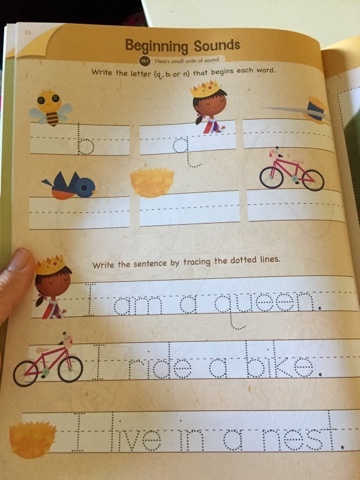 This page is too advanced at this time for her, so we do what we can, which is the single letters, and simply read the sentences at the bottom. We also talk about the sounds and which words they're in. 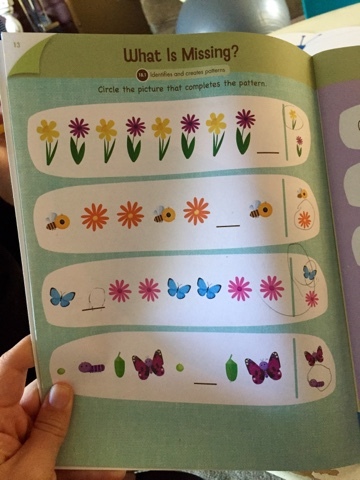 Later in the day we pulled out the curriculum which we were working on for the day, which was butterflies. 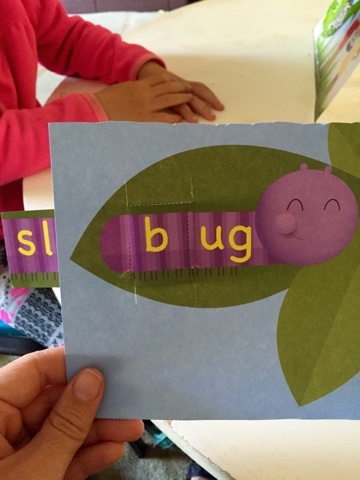 We were so happy to see that it was almost the same as the workbook activity but with an extension of finding the letter that forms the word in order to turn the caterpillar into a butterfly. So adorable, and she was able to reinforce the skills she had just learned. 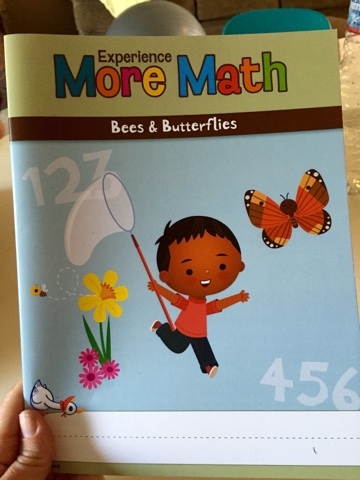 The Experience More Math workbook also has the same theme as the monthly curriculum. These pages contained patterning and matching the shapes. You can find skills books anywhere, but I love that these go along with the monthly theme. Kids tend do do a lot better when they are interested in the subject matter. I remember being able to do a million lessons with sarcophagi--different writing lessons, nonfiction reading and storytelling...all because the 6th graders were soooo interested in sarcophagi! Who wouldn't be?! At the end of each workbook there is a small review of the skills where you can assess your student. I've come back to finish this blog post after Tiny B's appointments, and I have amazing news. I'll have to wait until next time to share it!